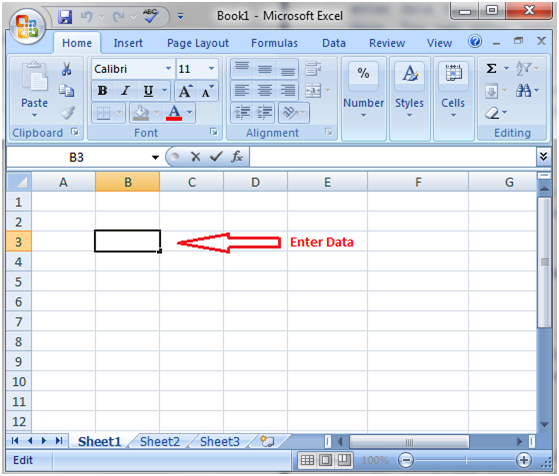 Select a cell with a single click where you want to enter data; cell B3 is selected in the image given below. Then double click in the cell to enter data. You can enter text, numbers and formulas in the cell. After entering data, you can press Tab key to move to next column and can press Enter key to move to next row. You can press arrow keys for more options to move to other cells.